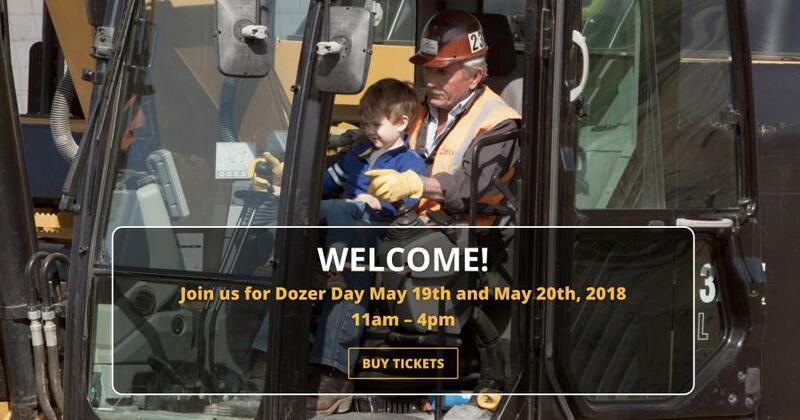 For more information, and to buy tickets, visit http://vancouver.dozerday.org. Calling all dozer enthusiasts! The 14th annual Dozer Day is fast approaching in Ridgefield, Wash. The event, which will take place May 19 and 20, gives children and families the opportunity to get up close and personal with construction equipment as they learn about the different trades, DJC Oregon reported. This year, the event will feature its first Dozer Day Career Fair, where students from area public schools interested in construction careers will have the opportunity to talk to industry companies. In addition, the event raises funds to support the Nutter Foundation, which provides aid to children's groups, little leagues, school districts and other organizations in the metro area. Dozer Day 2018 will take place from 11 a.m. to 4 a.m. at the Clark County Fairgrounds at 17402 N.E. Delfel Road, Ridgefield, Wash.